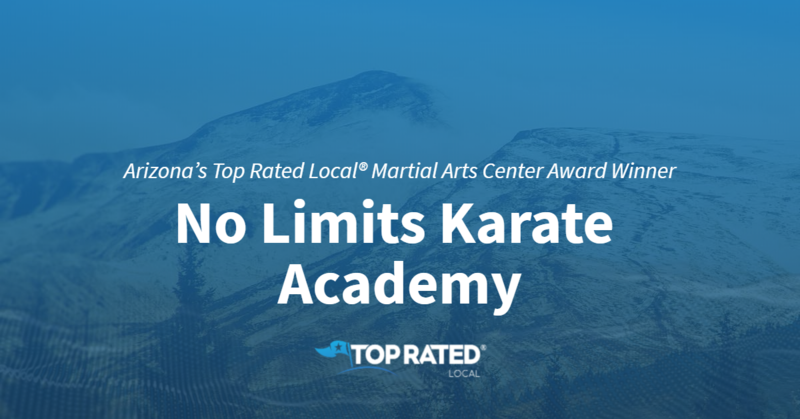 Top Rated Local® is pleased to announce that No Limits Karate Academy is a 2018 award winner! “Mr. Wayne is a fantastic instructor! I’ve taken classes at other schools, and No Limits has been the best. My kids and I all take classes here, and all of us benefit in our own ways. 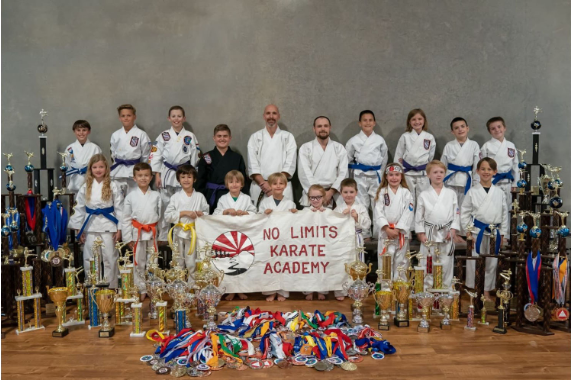 My kids look forward to coming to class, and the results of Mr. Wayne’s instruction can be seen at home and in school as well as in the Dojo.” -Tim H.
Mr. Wayne, the owner of No Limits Karate Academy, took a few minutes to speak with us about his business’ superb online reputation. Congratulations to the team at No Limits Karate Academy for being a 2018 Top Rated Local award winner, and thank you so much, Mr. Wayne, for taking the time to speak with us! Top Rated Local® is pleased to announce that Diamond Transportation is a 2018 award winner for limousine services in Arizona! 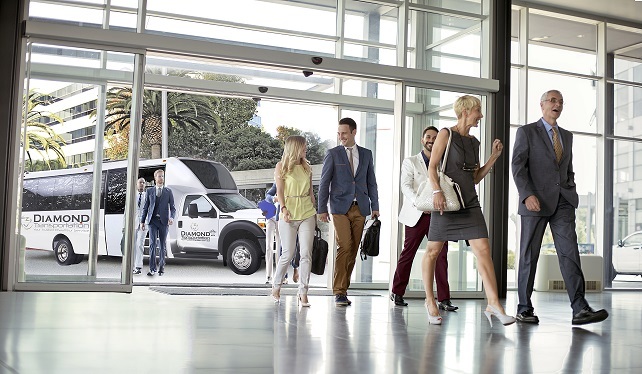 When you want to travel in style, Diamond Transportation is your go-to limousine service in Tucson. Diamond Transportation has received dozens of reviews on three verified sites with an average rating of 4.91 stars, earning them a phenomenal Rating Score™ of 95.10 and a 2018 Top Rated Local award for ranking among the top 10 limousine services in all of Arizona! “Our experience with Diamond Transportation was entirely first-class. The vehicle was immaculate and comfortable. The driver was professional in appearance and behavior, helpful and courteous in every way, and exactly on schedule. We received text messages assuring us of the imminent arrival, and then of the readiness for the on-time departure to the airport. [They were] impressive and efficient in every way, I’d say, and it’s reassuring to know that such great service is available 24/7 at sensible cost.” – Roger B. We took a few minutes to talk with David Vindiola, Director of Marketing and Sales at Diamond Transportation, to learn a little more about the business and how they managed to build such an impressive online reputation. 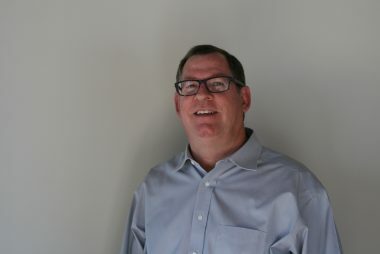 David also attributes their reputation to the fact that they make it a point to ask for reviews and are always asking for feedback so that they can enhance the customer experience. Outside of building a powerful online reputation, Diamond Transportation has grown through Facebook marketing and by directly reaching out in order to establish corporate partnerships. They also offer to organize travel plans and group travel for their strategic partners. Congratulations to the team at Diamond Transportation for being a 2018 Top Rated Local award winner, and thank you so much, David, for taking the time to speak with us! For all of your luxury transportation needs in Tucson, we highly recommend Diamond Transportation. Visit their website today. 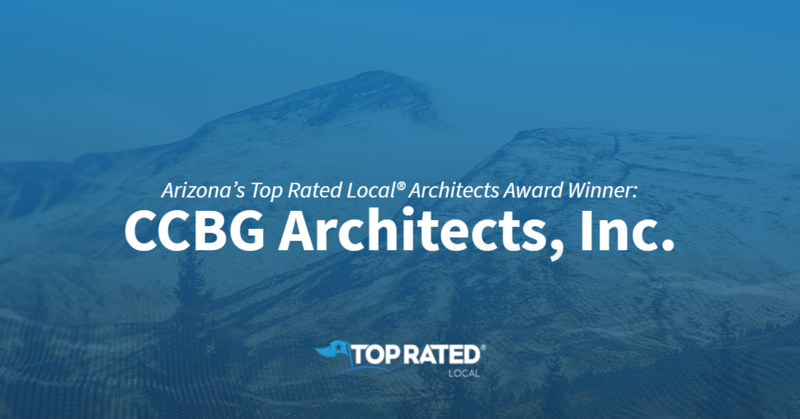 Top Rated Local® is pleased to announce that Prescott Preferred Chiropractic is a two-time award winner for 2019 in Arizona! If you’re looking for the right chiropractor in Prescott, look no further than Prescott Preferred Chiropractic. Prescott Preferred Chiropractic has received more than 100 reviews on four verified sites with an average rating of 4.90 stars, earning them a tremendous Rating Score™ of 97.96 and two 2019 Top Rated Local awards — one for ranking among the top 100 businesses in Arizona and one for ranking among the top 10 chiropractors in Arizona! “Dr. Nelson and his staff are like family. They care about your entire well-being and your family’s well-being. Where there is a problem, there is a solution, and Dr. Nelson will help you get to a solution. He will NEVER give up.” – H.H. We took a few minutes to talk with Sally, the office manager at Prescott Preferred Chiropractic, to learn a little more about the business and how they managed to build such an impressive online reputation. Sally credits Prescott Preferred Chiropractic’s strong online reputation to their commitment to providing excellent customer service, as well as to the fact that they truly care about each and every one of their patients. 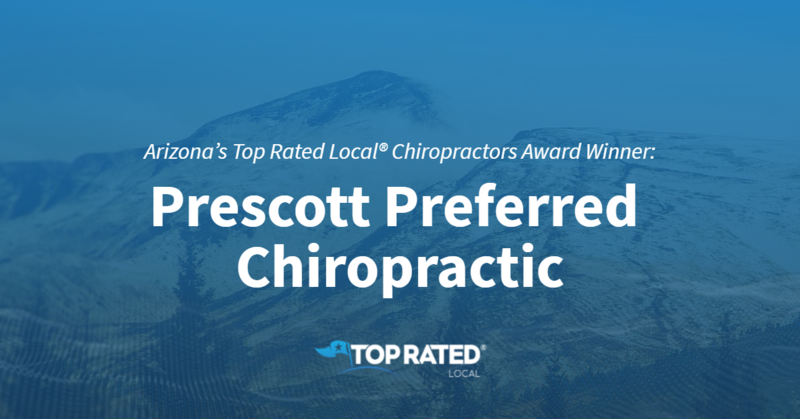 Congratulations to the team at Prescott Preferred Chiropractic for being a 2018 Top Rated Local award winner, and thank you so much, Sally, for taking the time to speak with us! For all of your chiropractic needs in Prescott, we highly recommend Prescott Preferred Chiropractic. Visit their website today! Top Rated Local® is pleased to announce that Affinity Eyecare is a dual 2018 award winner! “I’ve been to many eye doctors over the years (having worn glasses since first grade). However, Dr. Mulgrew is miles ahead of them all. I was delighted to discover that he is a provider for my vision insurance and made an appointment with him right away. His knowledge and expertise in his field is very evident, and I appreciate that he takes the time to explain everything in layman’s terms. I also appreciate how you have the option to purchase glasses or contacts after the exam, but there’s no pressure to buy something like a used car dealership (which is a commonality with other optometrists). I highly recommend Affinity Eye Care for quality and professional service.” Trevor D.
Nancy Allen, the Marketing Director at Affinity Eye Care, took some time to chat with us about the business’ online reputation. Nancy credits the Affinity Eye Care secret to success to their team’s innate ability to provide excellent customer service. She says that their experienced and compassionate doctors help them maintain a large patient base. Be sure to check out Affinity Eye Care’s trunk show on March 30th! 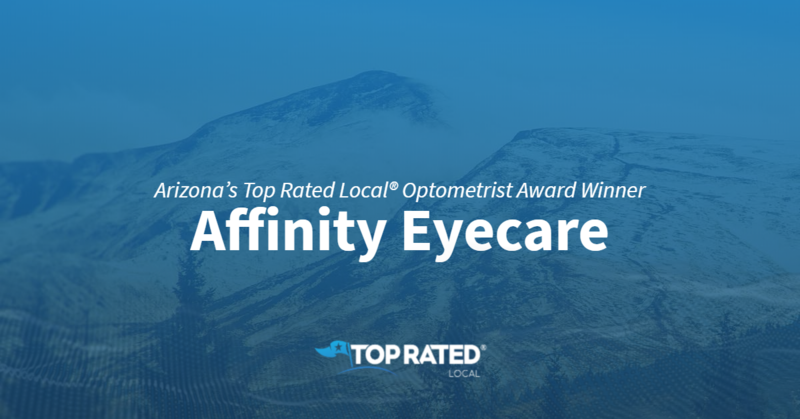 Congratulations to the team at Affinity Eye Care for being a 2018 Top Rated Local award winner, and thank you so much, Nancy, for taking the time to speak with us! Top Rated Local® is pleased to announce that Costantini Cleaning Services is a 2018 award winner for window cleaning in Arizona! 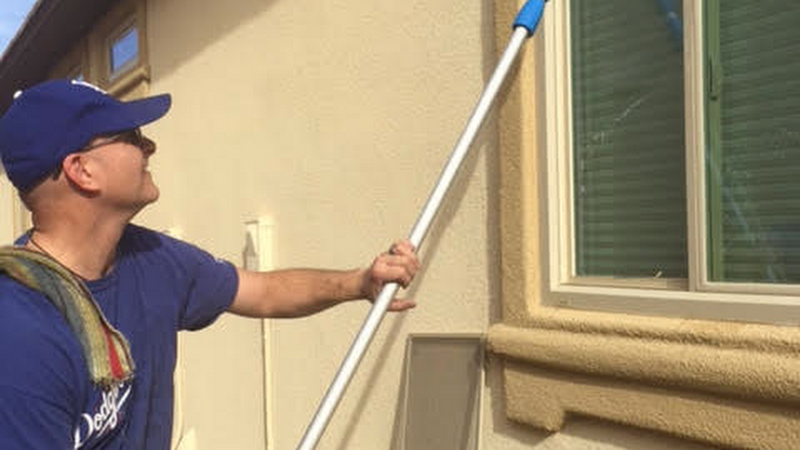 For sparkling-clean windows in Chandler, there’s no better company to turn to than Costantini Cleaning Services. Costantini Cleaning Services has received dozens of reviews on two verified sites with an average rating of 5.00 stars, earning them a spectacular Rating Score™ of 95.00 and a 2018 Top Rated Local award for ranking among the top 10 window cleaners in all of Arizona! “Tony arrived promptly to our home to clean our windows and screens; he was very courteous and professional. Tony spent several hours on the job to ensure everything was done properly. A few weeks later, we had Tony come back to trim a tree. He did a great job and even loaded the excess trimmings to be disposed of. We will definitely use his services in the future!” – Jenna M.
There are many things that set Costantini Cleaning Services apart from other window cleaning companies, but according to the owner, Tony Costantini, it’s his punctuality that makes all the difference. Tony makes it a point to schedule his services for a time his clients are happy with. Outside of building a powerful online reputation, Tony has grown his business through advertising on Facebook, Yelp and Google. Congratulations to Costantini Cleaning Services for being a 2018 Top Rated Local award winner, and thank you so much, Tony, for taking the time to speak with us! For all of your window cleaning needs in Chandler, we highly recommend Costantini Cleaning Services. Visit their website today! “I cannot say enough about how wonderful the staff at this place is. In a strange turn of events, I found myself needing to buy a car reliable enough to make a 25-hour drive home, and scheduled a used vehicle inspection here. The seller was running a touch late and the staff offered to stay late to complete the inspection. The service was very informative, the quotes were fair, and the price was very reasonable. To have such a thorough inspection done slightly after hours on a Saturday makes this place exactly what is advertised. Way RAD. I wish I lived closer (instead of Iowa) so I could use these guys as my regular mechanic. 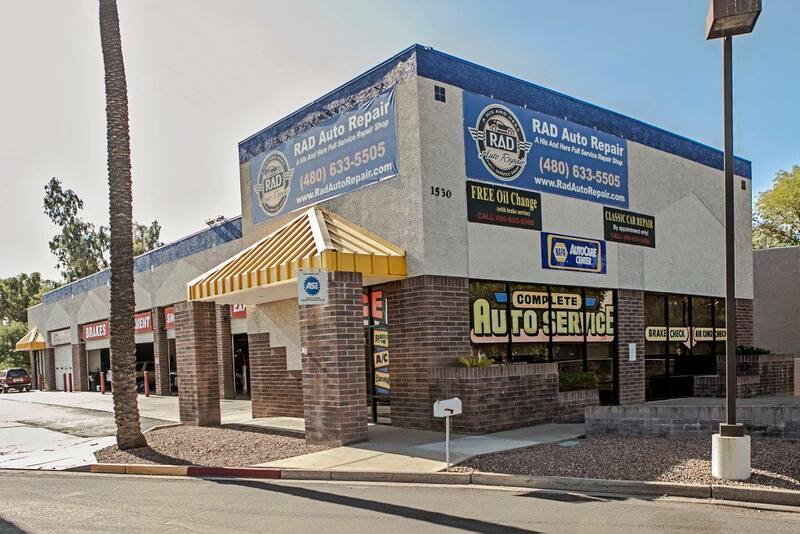 Five-star service with a smile.” -Kathleen M.
Our team spoke with Brandon Stapley, the owner of RAD Auto Repair, about his business’ impressive online reputation. Congratulations to the team at RAD Auto Repair for being a 2018 Top Rated Local award winner, and thank you so much, Brandon, for taking the time to speak with us! Top Rated Local® is pleased to announce that All N All Moving LLC is a 2018 award winner for moving service companies in Arizona! Whether you’re looking for movers who can help you move a safe, your home, your office or your vehicle, look no further than All N All Moving LLC in Peoria. 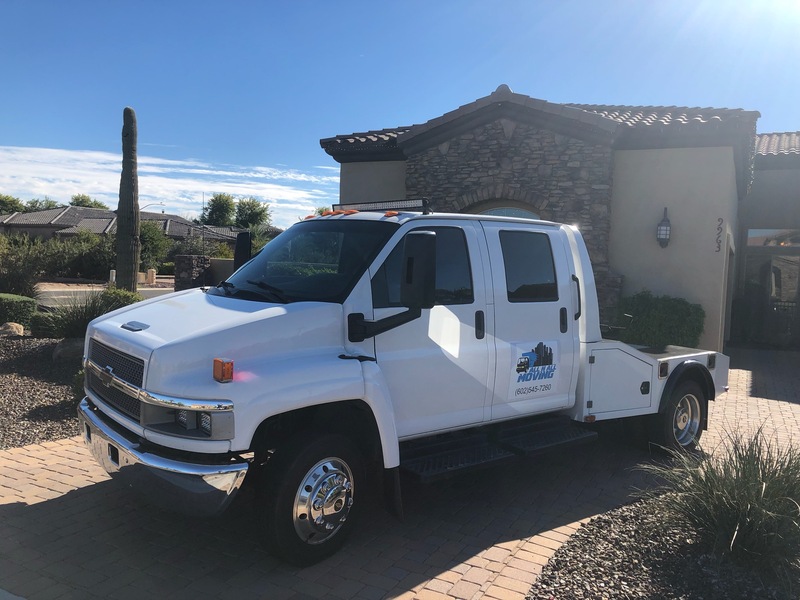 All N All Moving LLC has received dozens of reviews on three verified review sites with an average rating of 4.95 stars, earning them a stupendous Rating Score™ of 95.46 and a 2018 Top Rated Local award for ranking among the top 10 moving companies in all of Arizona! All N All Moving is the company to turn to when you want your belongings to get from point A to point B without a blemish. They take the time to protect their clients’ belongings by padding and shrink-wrapping every piece of furniture. In fact, they’ve never had a damage claim in their company! They’ll even go the extra mile to touch up furniture that was damaged before the move. Outside of building a powerful online reputation, David has grown All N All Moving through lots of word of mouth and referrals. He has also worked with several advertising companies, and Yelp has helped as well. Congratulations to the team at All N All Moving LLC for being a 2018 Top Rated Local award winner, and thank you so much, David, for taking the time to speak with us! If you’re looking for the right moving company in Peoria, we highly recommend working with David and his team at All N All Moving LLC. Visit their website today! Top Rated Local® is pleased to announce that Massage at Mountainside is a 2018 award winner for massage therapists in Arizona! If you’re looking for a massage therapist in Surprise who can help to relieve your pain and enjoy next-level relaxation, look no further than Massage at Mountainside. Massage at Mountainside has received dozens of reviews from five verified review sites with an average rating of 5.00 stars, earning them an impeccable Rating Score™ of 100.00 and a 2018 Top Rated Local award for ranking among the top 10 massage therapist in all of Arizona! “Tracy gave me the best massage I have ever had. I love how calm and comfortable the room is. She uses a hot towel for your feet and covers your eyes with a warming mask. When I go to here, I like to get my muscles worked on and relax. She does an excellent job at giving me both. It is easy to book an appointment. When you want to talk, she will talk with you, and if you want to relax, she lets you do that, too. Sometimes, I fall asleep because it feels so good. I like to visit her one to two times per month.” – Jessica N.
Tracy Fate, the owner of Massage at Mountainside, has approximately 24 years of experience in massage, has a significant amount of education and has done massage in many different locations, from chiropractic offices to resort spas. Through all of that education and experience, Tracy synergistically blends therapeutic massage with luxury touches, like heated towels, heated oils and heated neck and eye pillows, that make her clients melt like butter. She also offers different modalities so that she can meet her clients’ individual needs. Tracy started Massage at Mountainside in 2017. At the time, she was working at Waldorf, but also wanted to become a foster parent and had trouble finding daycare on the weekends, so she decided to start her own business. Not only did she successfully launch Massage at Mountainside, but she also began fostering in June of 2017 and adopted two children last March. Tracy credits Massage at Mountainside’s strong online reputation to her commitment to reading her client and designing a massage that fit their unique needs. Many other massage therapists only offer generic massage. Outside of building a powerful online reputation, Tracy has grown her business mostly through word of mouth and repeat customers. She also solicits customers through Facebook and has reached out to her community by hanging signs, leasing a room at the gym and doing chair massages. 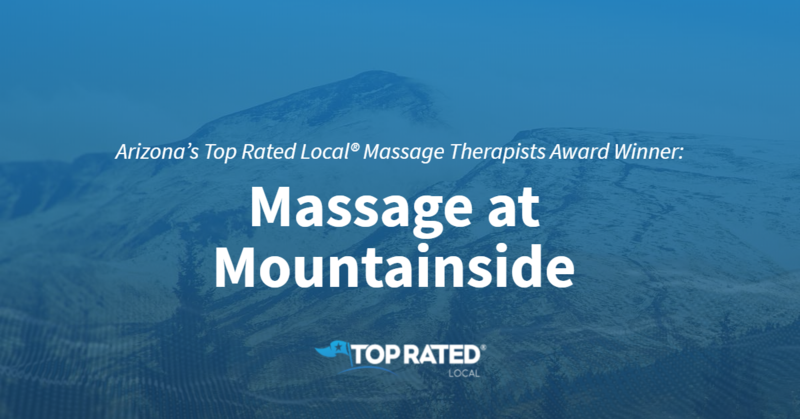 Congratulations to Massage at Mountainside for being a 2018 Top Rated Local award winner, and thank you so much Tracy for taking the time to speak with us! If you’re looking for a great massage, we highly recommend scheduling an appointment with Tracy at Massage at Mountainside. Visit their website today! 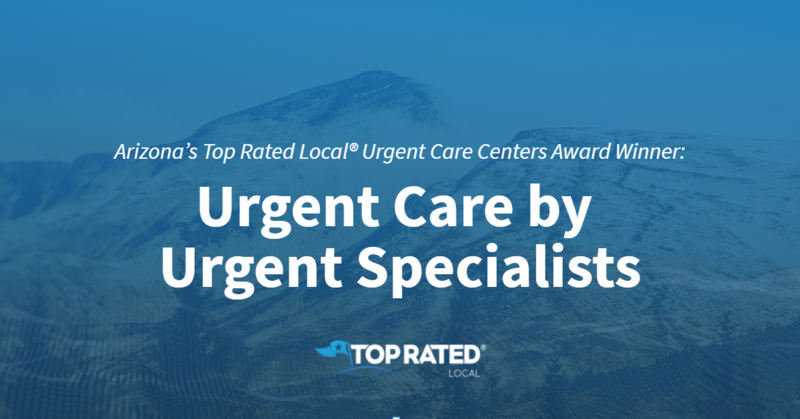 Top Rated Local® is pleased to announce that Urgent Care by Urgent Specialists is a 2018 award winner for urgent care centers in Arizona! When you need last-minute care you can rely on, you need Urgent Care by Urgent Specialists in Tucson. Urgent Care by Urgent Specialists has received more than 100 reviews from three verified sites with an average rating of 4.66 stars, earning them a fabulous Rating Score™ of 88.91 and a 2018 Top Rated Local award for ranking among the top 10 urgent care centers in all of Arizona! When patients turn to Urgent Care by Urgent Specialists, they are given unparalleled access to the specialist physicians they need. Every nurse practitioner on staff is trained under a physician in each specified area — urgent care, ears, nose and throat, ophthalmology, cardiology and orthopedics. And if and when there is an undetermined diagnosis, they can always contact the specialists physicians via Telehealth. Patrick credits Urgent Care by Urgent Specialists’ strong online reputation to their commitment to reducing healthcare costs and improving outcomes for their patients. Outside of building a powerful online reputation, Urgent Care by Urgent Specialists has grown through a strong marketing campaign in their community, as well as through word of mouth. Congratulations to the team at Urgent Care by Urgent Specialists for being a 2018 Top Rated Local award winner, and thank you so much, Patrick, for taking the time to speak with us! If you find yourself in need of urgent care in Tucson, we highly recommend turning to Urgent Care by Urgent Specialists. Visit their website today!